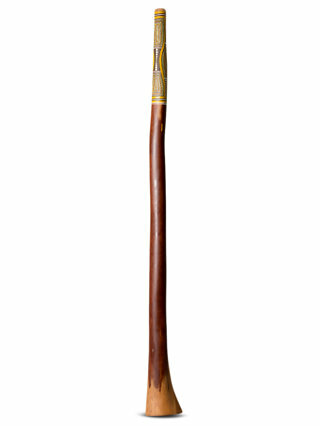 Tynon from Heartland didgeridoos is one of those rare makers in the didge world. He has been making didgeridoos for over 20 years, combining a passion for playing the didgeridoo with an uncanny ability to craft high quality instruments that are both beautiful in tonal qualities and are some of the most uniquely decorated and finished instruments you will ever come across. Tynon often looks for logs with rare features bringing out there natural beauty with or without the addition of artwork. Each instrument is made with love, care and passion and with the utmost attention to detail making Tynon in our opinion the most creative didgeridoo maker we have seen. Being such a devoted craftsmen, Tynon often goes bush for days on end looking for high quality logs he can turn into unique pieces. Tynon also gives lessons and conducts workshops in both his hometown of Bellingen NSW and in other parts of Australia. 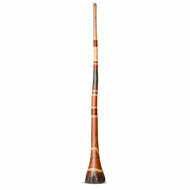 He also has the envious honour of being the only didgeridoo craftsmen to have one of his instruments sent into space! Tynon has been working closely with Spirit Gallery for many years now. 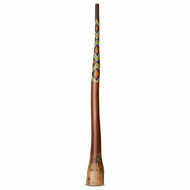 We are his primary outlet with a large stock of Heartland didgeridoos always available.